In the midst of a summer that revealed a consistent rate of sudden deaths in athletes, a new mandate affecting all college athletes from the NCAA was announced. The NCAA revealed that as of August 2014 all member schools are required to report any catastrophic injuries incurred by their student-athletes. This is in support of a new comprehensive and accurate reporting structure to capture such instances. The need for accurate injury incidence information has come from the crucial role this information plays to guide policies for health and safety in sport. NCCSIR has provided an online reporting system to expedite and streamline reporting. This system also includes reporting that is available for all organized sport levels (not just collegiate sports). This can be found at: sportinjuryreport.org. We highly encourage any bystanders or witnesses to report cases of fatal or near-fatal incidences (that have occurred in the last year or that occur in the future) to enhance this database. The hope with all of these new reporting systems is that such information can help to support health and safety initiatives targeting the causes of sudden death in sport and shed light on new preventative measures that can be taken. 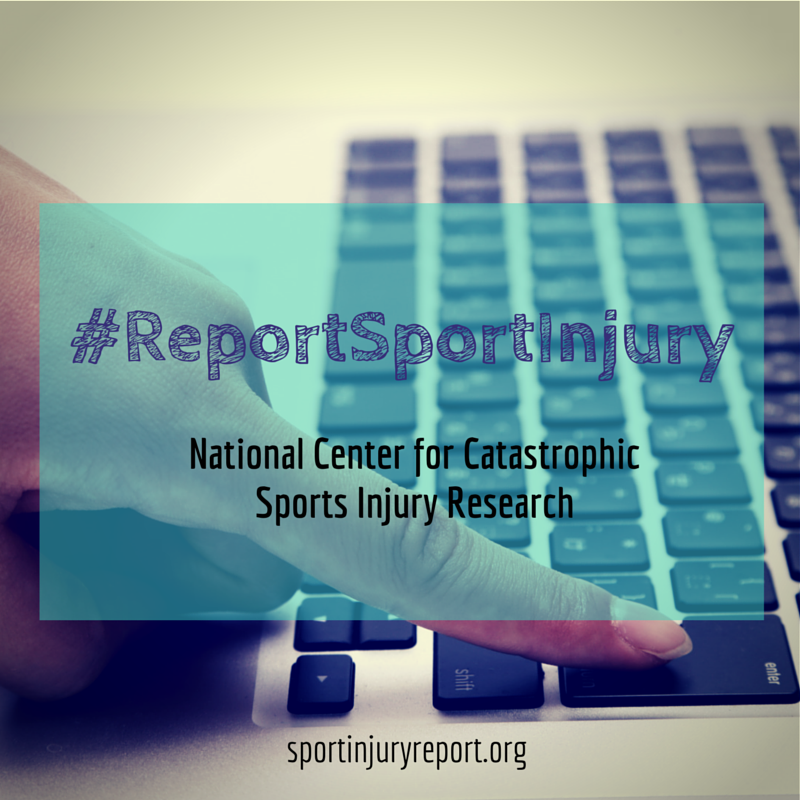 We ask that you join the NCAA and the NCCSIR, and help spread the word to report catastrophic injury cases in order to help us push for continued health and safety initiatives that will ultimately save our athlete’s lives. This entry was posted in Blog Post and tagged Injury Surveillance, National Center for Catastrophic Sports Injury Research, NCCSIR, Sport Injury.